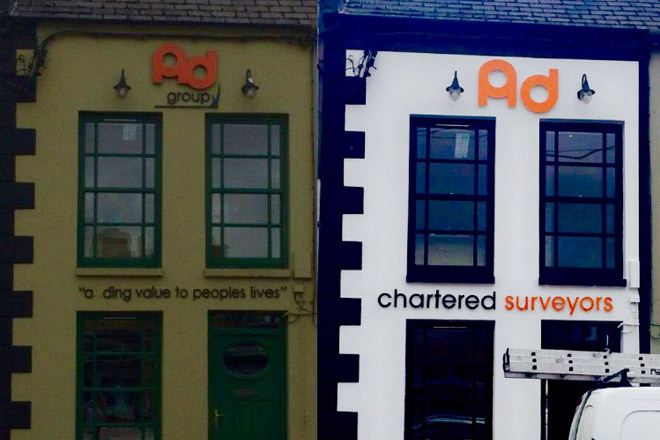 Mid Ulster Painting & Decorating offer high quality commercial and domestic services throughout the North of Ireland from our base in Magherafelt. Call us on 028 79 301122 today for your FREE Painting quotation! 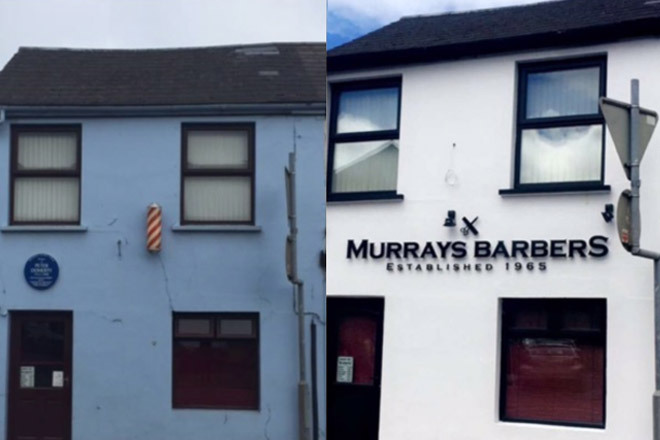 Mid Ulster Painting & Decorating working with several local businesses who successfully attained the new shop front refurbishment grants from Mid Ulster District Council. Operating under the Magherafelt Shop Improvement Scheme - The design and appearance of shop fronts play an essential role in ensuring that Mid Ulster continues to thrive and prosper by improving the public perception of the area. Our experienced master painters repairing and painting Finvoy Church, Ballymoney to enhance it's features both internally and externally. 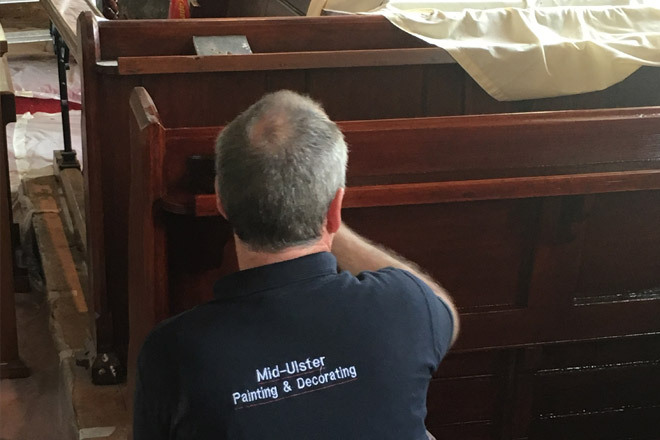 Our craftsmen are also handling pews properly and providing the very best in protection when it comes to the church's furniture and instruments, ensuring this restoration project turns out just perfect! 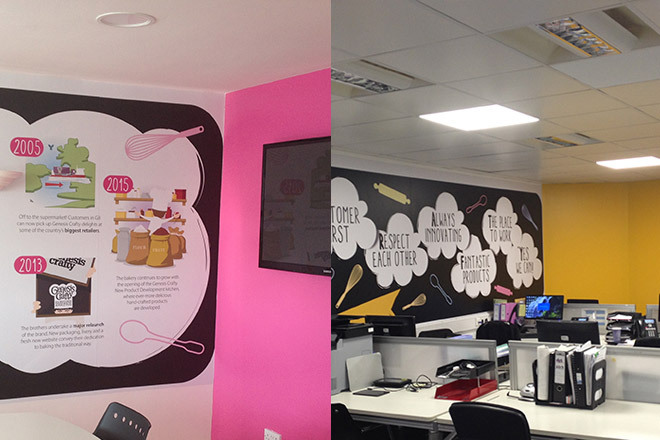 Few pictures of the painting work recently completed at Genesis Bakery, Magherafelt…so vibrant and cheerful! Call 028 79 301122 for your FREE Painting quotation today! Telephone 028 79 301122 for a FREE Quote today! "Thank you so much for the fantastic painting service, your staff really improved my investment property in such a short time frame! (which was consequently leased within days by Mid Ulster Letting & Sales! )…Your painters were professional, very tidy and very well mannered!". Why not contact us today for a FREE painting quote.